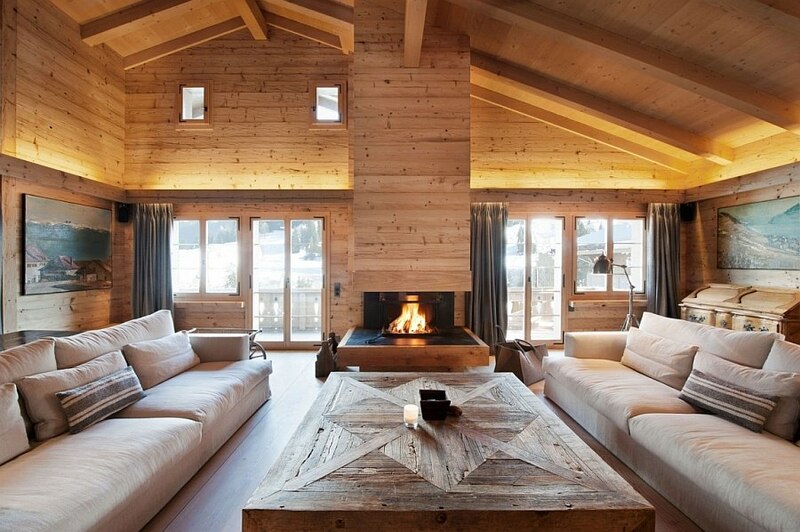 We at Decoist do hope that you are enjoying your holidays wherever you are along with friends and family, and that you are all geared up for both Christmas Eve and the big day itself. 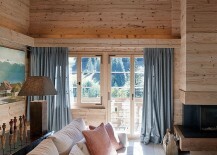 It is indeed the time for grand decorations, delicious dinners, fun parties and of course memorable vacations. 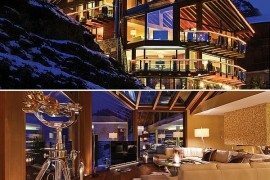 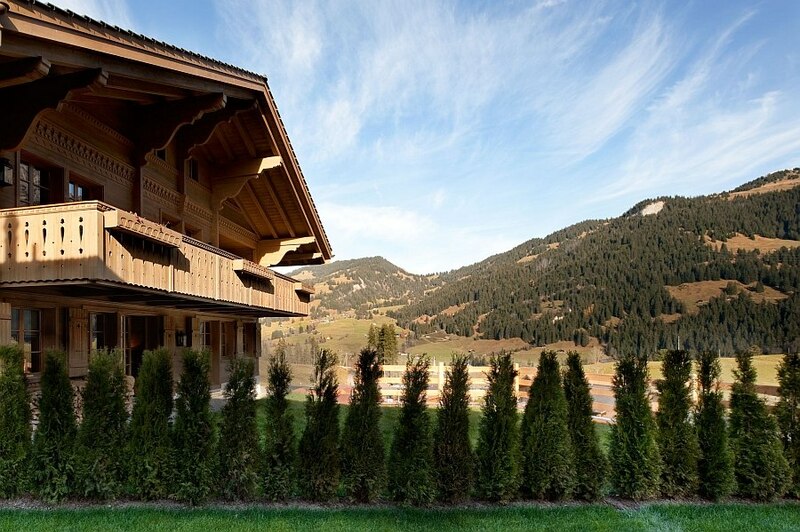 And the captivating Chalet Gstaad in Switzerland is one such amazing getaway that offers the perfect backdrop for an unforgettable holiday. 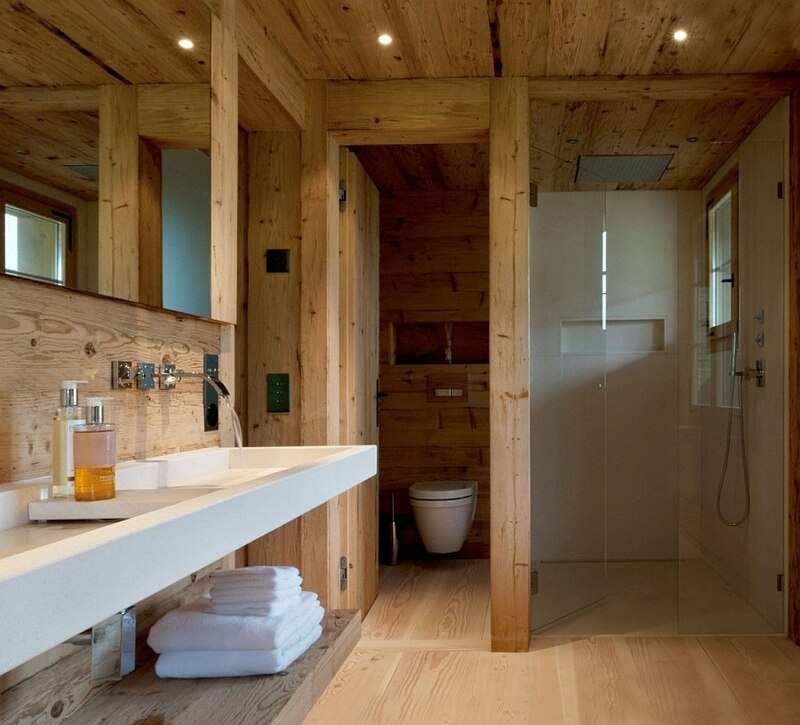 Designed by London-based interiors firm Ardesia Design, the interiors of this amazing weekend escape combine modern aesthetics with traditional wood cabin ambiance to offer the very best of both worlds. 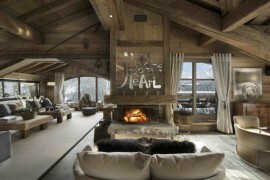 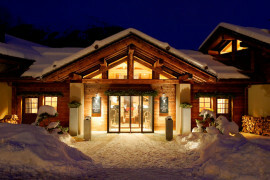 Add the stunning ski slopes of Gstaad, which are one of the largest in the Alps, and you truly are in paradise! 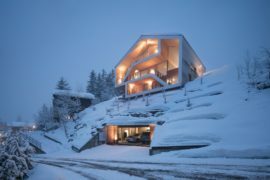 Spread across 380 square meters, the chalet features five bedrooms that are housed on the ground floor, basement and the top floor that offers truly mesmerizing views of the landscape. 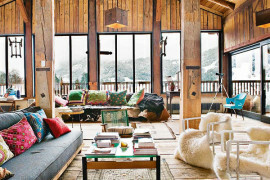 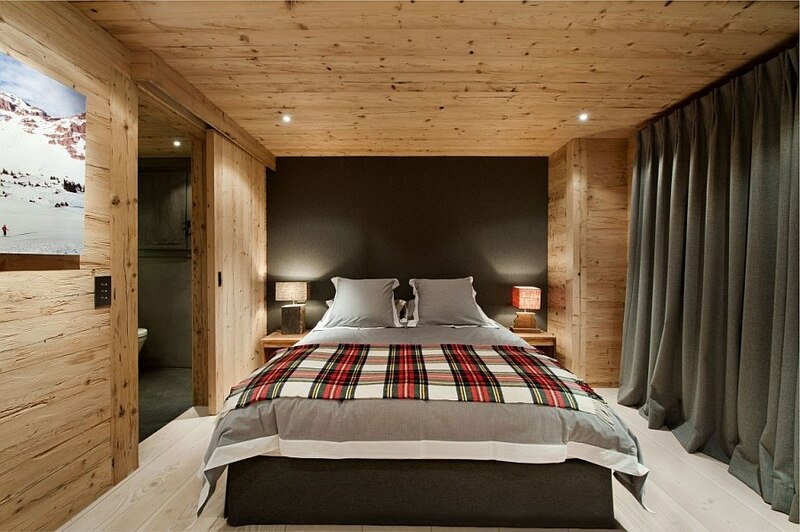 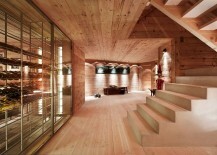 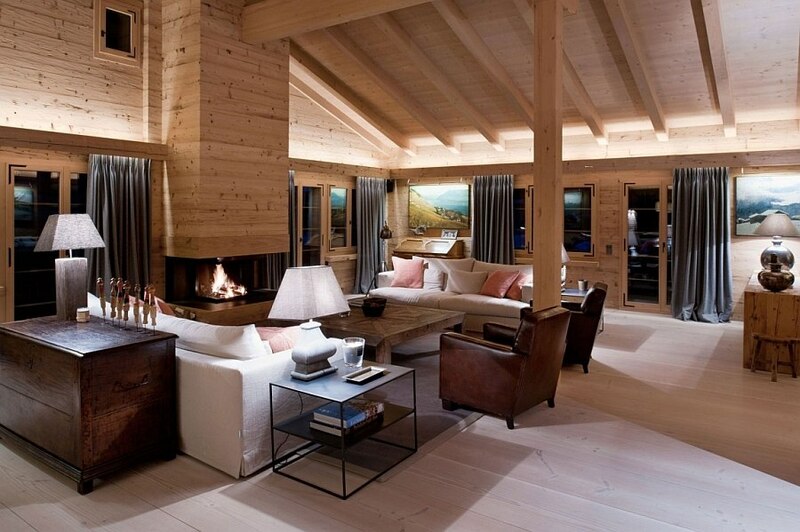 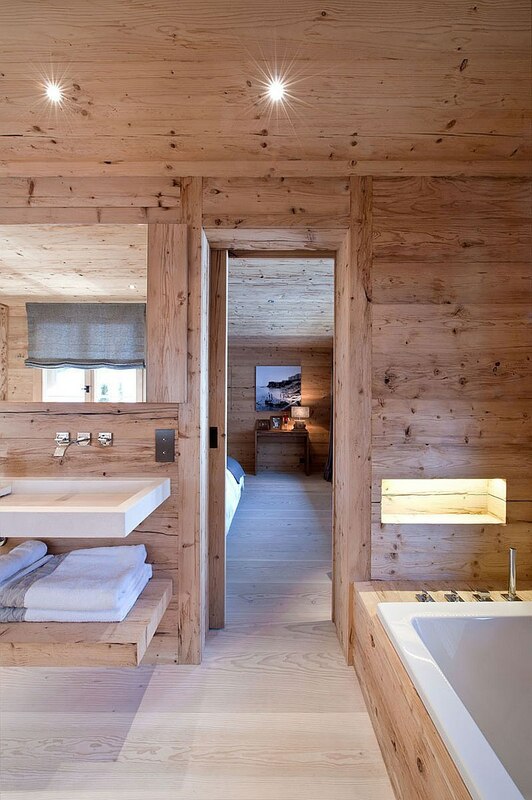 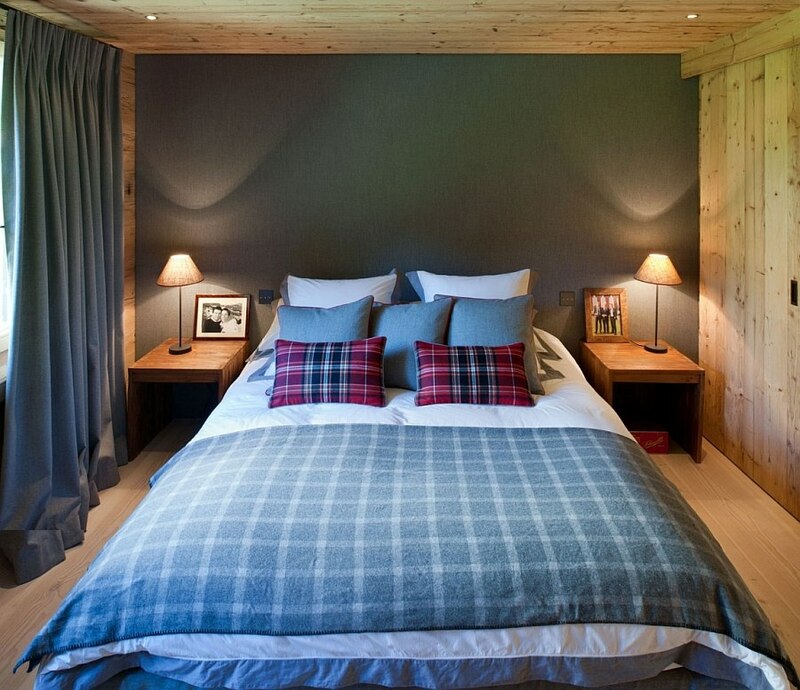 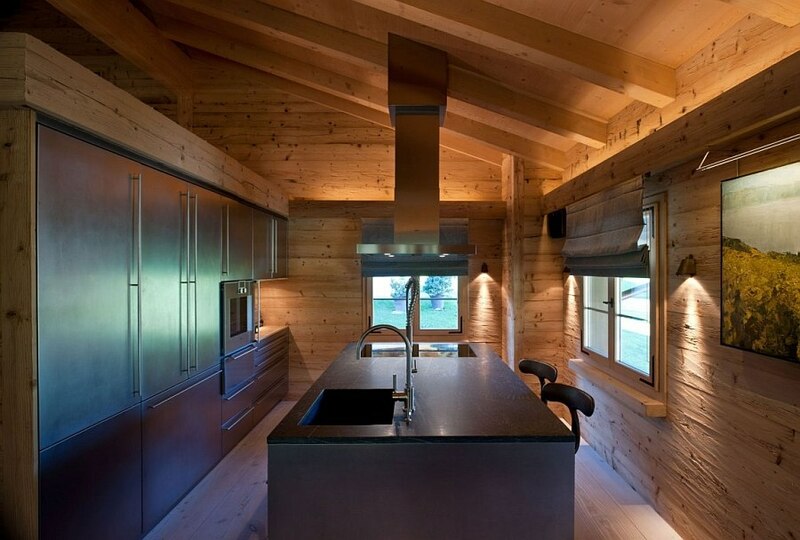 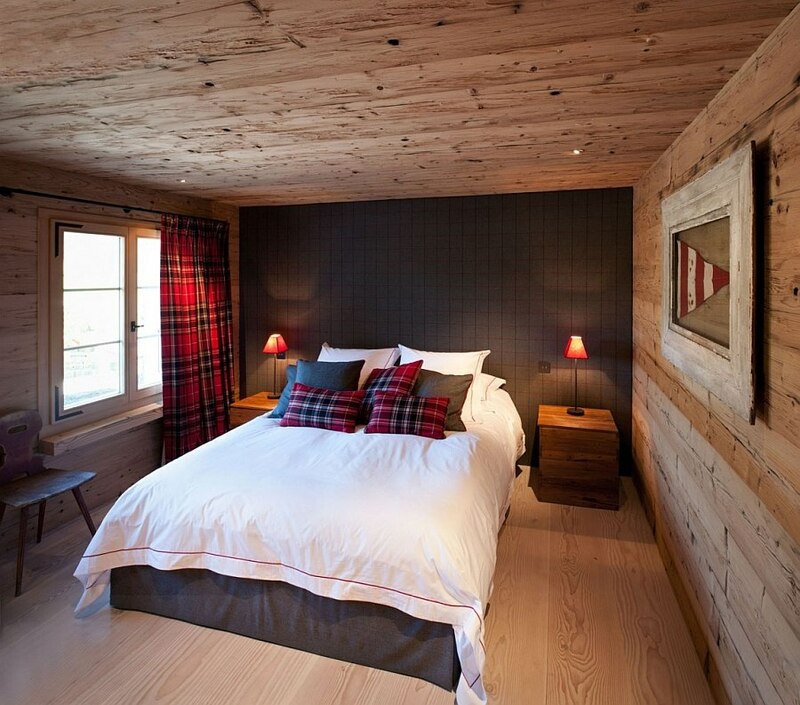 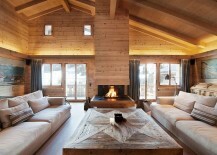 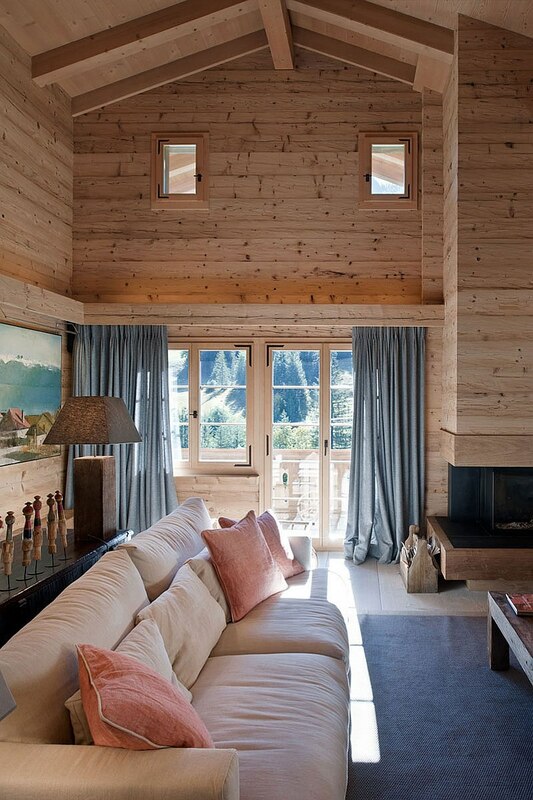 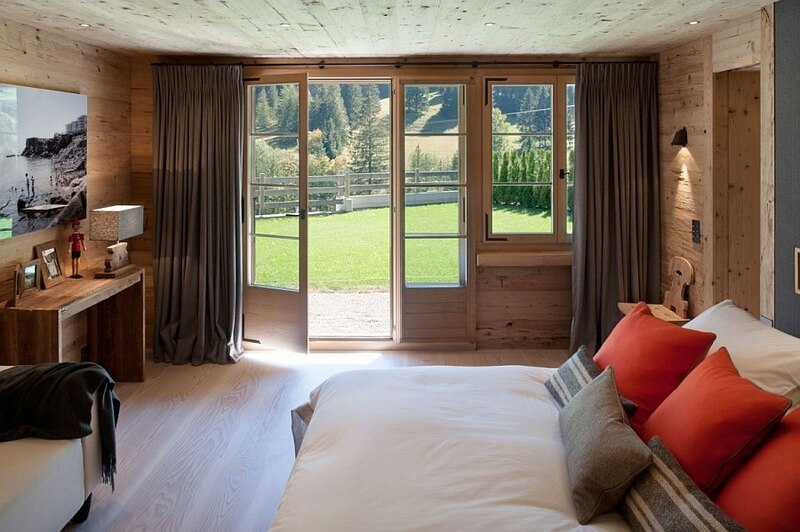 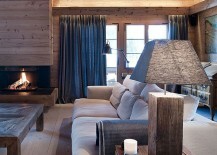 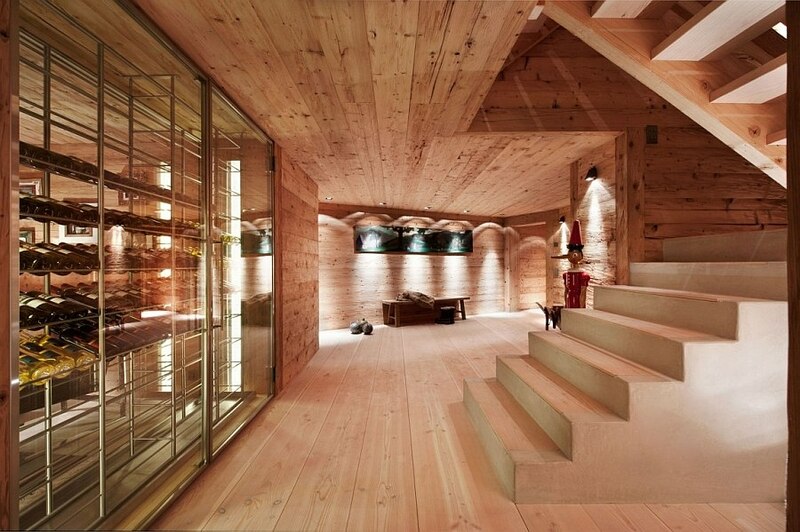 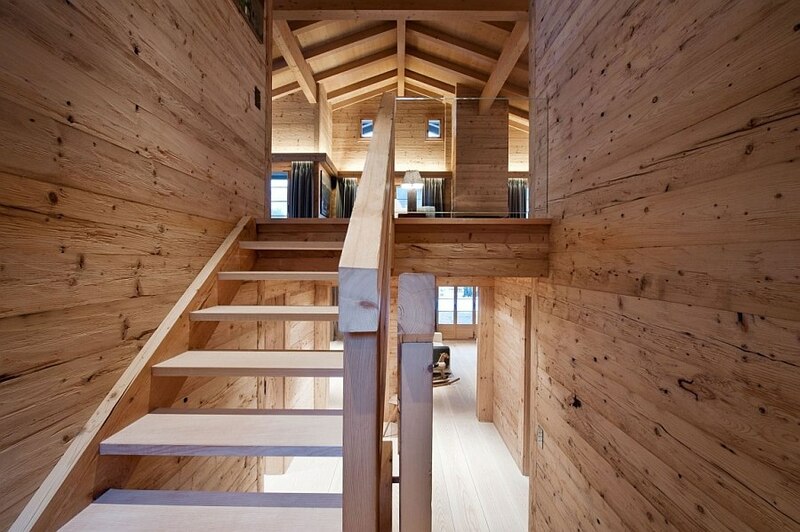 Panels of rough sawn Austrian timber shape the interior of the chalet and give it the warm, snug appeal that makes it such an inviting prospect. 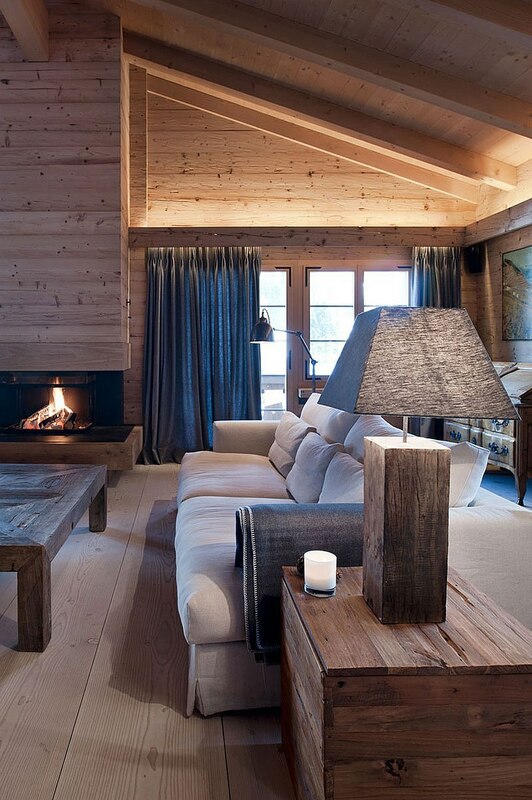 Modern decor additions, gorgeous lighting fixtures and a sizzling fireplace give the living room a more contemporary look. 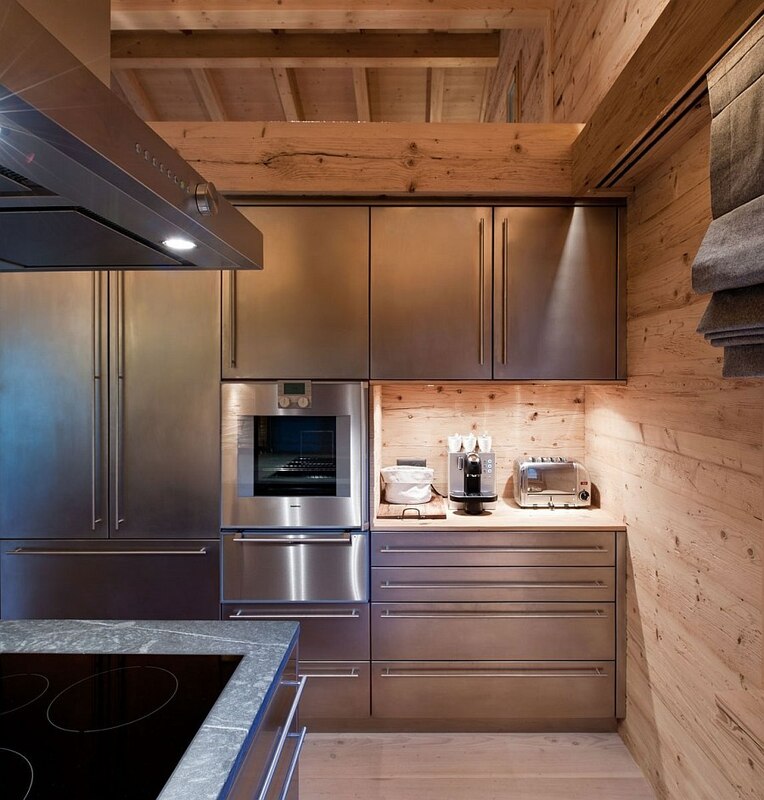 A lavish dining space and a custom-crafted kitchen with brushed stainless steel shelves and a stainless steel island complete this level. 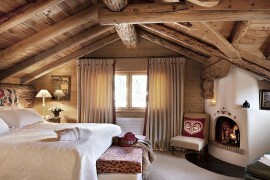 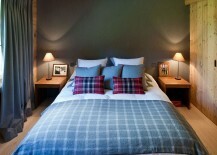 Cashmere, wool, and Italian fabric shape the five luxurious bedrooms and ensure that you are draped in opulence. 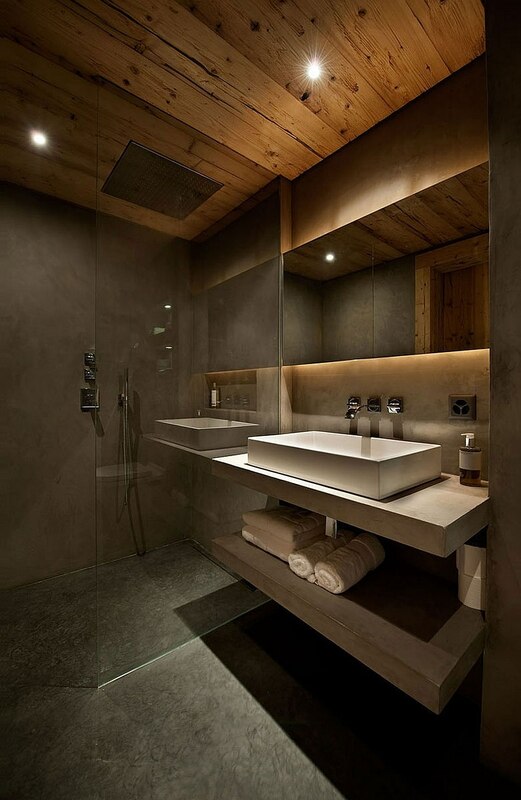 The bathrooms take a different direction with the use of white Turkish limestone that gives them a spa-style ambiance. 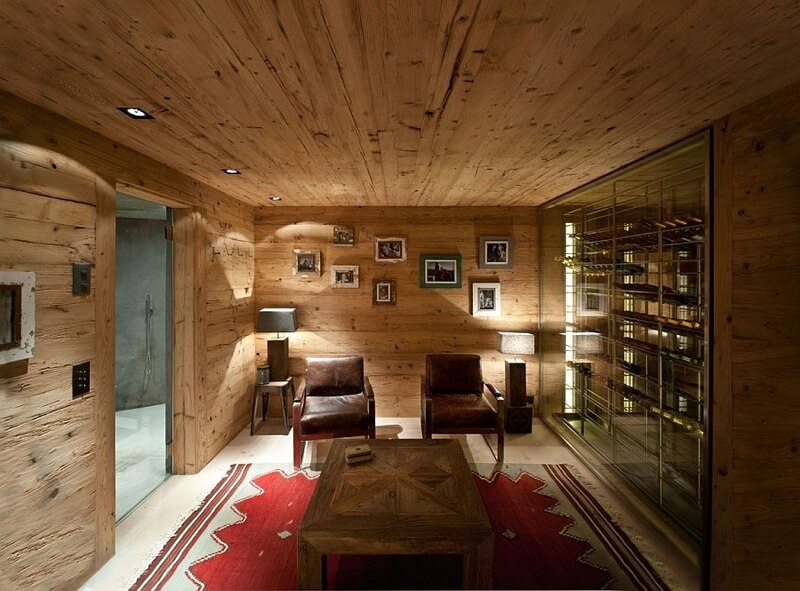 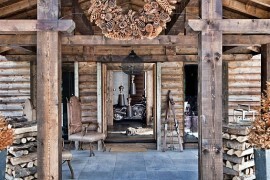 An eclectic mix of antiques and vintage decor along with additional spaces such as the wine cellar complete this extravagant chalet in the outskirts of Gstaad.